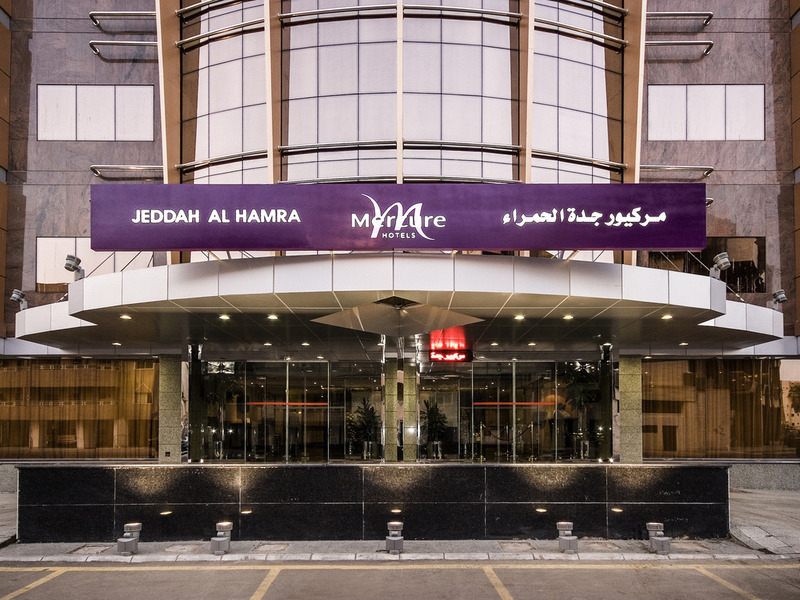 A 20 minute drive from King Abdulaziz International Airport brings visitors to the Mercure Jeddah Al Hamra in Jeddah, the "Gateway to the Holy Cities" of Makkah and Medina. Guests have a choice of 149 air-conditioned rooms from singles to suites, all offering Minibar, free WIFI and coffee/tea making facilities. Breakfast at the Palm Restaurant or Jasmine Coffee Lounge starts the day off right for a day of meetings or tourism. Or dine in the comfort of your room thanks to 24-hour room service. The hotel is ideally located on Alexandria st, in the residential and business area of the city, close to the Red sea. Located 25 min from the airport and 10 min from the downtown shopping area. Close to the hotel is the world's tallest water fountain. The rooms of the hotel are luxuriously designed & furnished. They all have queen size beds, as well as iron & ironing board, coffee machine, Wifi connection, safety box etc. Rooms from the 4th floor have a view over the Red sea. The Junior suites in Mercure hotel all have living room and bedroom. New, well designed & furnished, they also have a coffee machine, iron & ironing board, safety box, wifi connection, fire sprinklers etc. Junior Suite,one bedroom,with sitting area. Royal Suite 2 bedrooms, living room, dinning area, Jacuzzi bath. Palm Restaurant, located in the lobby area, offers breaskfast, lunch and dinner, with a seating capacity of 80 pax. The menu is a blend of delicious Arabian & International dishes, rounded up with a wide selection of soft drinks, juices and desserts. Coffee Lounge is offering cold and hot drinks with variety of pastries, sandwiches and ice creams in addition to light snacks.